The modern word “China” most likely derives from the name of the Qin (pronounced “chin”) dynasty. First Emperor Qin Shi Huang (260-210 B.C.) of the Qin dynasty first unified China in 221 B.C., beginning an Imperial period which would last until A.D. 1912. China is also known as the “Flowery Kingdom” and many of the fruits and flowers (such as the orange and orchid) are now grown all over the world. Ping-pong is one of the most popular games in China, but it was not invented in China. It originated in Britain, where it is called table tennis. White, rather than black, is the Chinese color for mourning and funerals. Historians speculate that as the Chinese population grew, people had to conserve cooking fuel by chopping food into small pieces so that it could cook faster. These bite-sized foods eliminated the need for knives and, hence, chopsticks were invented. A civil servant named Su Song built the first mechanical clock between A.D 1088 and 1092. It could tell the time of day and also track the constellations so that accurate horoscopes could be determined. The Chinese were the first to invent the waterwheel to harness water in A.D. 31—1,200 years before the Europeans. China was also the first country in the world to use an iron plow. Europe didn’t begin using the iron plow until the seventeenth century. The name of China’s capital has changed over the centuries. At one time or another it has been known as Yanjing, Dadu, and Beiping. Peking or “Beijing means “Northern Capital.” Beijing is the officially sanctioned pinyin spelling based on the Mandarin dialect. Beijing is the second largest city after Shanghai. It was customary for wealthy men and women in the late empire to grow the nails of their little fingers extremely long as a sign of their rank. They often wore decorative gold and silver nail guards to protect their nails. By the second century B.C., the Chinese discovered that blood circulated throughout the body and that the heart pumped the blood. In Europe, circulation wasn’t discovered until the early seventeenth century by William Harvey (1578-1657). The Chinese were using the decimal system as early as the fourteenth century B.C., nearly 2,300 years before the first known use of the system in European mathematics. The Chinese were also the first to use a place for zero. The crossbow was invented and first used by the Chinese. They were also the first in the world to use chemical and gas weapons, 2,000 years before gas was used in Europe during WWI. According to popular legend, tea was discovered by the Chinese emperor Shennong in 2737 B.C. when a tea leaf fell into his boiling water. The Chinese consider tea to be a necessity of life. The most important holiday in China is the Chinese New Year or Lunar New Year. Chinese traditionally believe that every person turns one year older on the New Year and, thus, that day is considered to be everyone’s birthday. Chinese is spoken by 92% of China’s population. There are at least seven major families of the Chinese language, including Mandarin, Cantonese, Wu, Hakka, Gan, Xiang, and Min. In ancient China, the lotus was seen as a symbol of purity and was sacred to both the Buddhists and Daoists. The peony (“King of Flowers”) symbolized spring, the chrysanthemum symbolized long life, and the narcissus was thought to bring good luck. According to a Chinese legend, silk was discovered in 3000 B.C. by Lady Xi Ling Sui, wife of the Emperor Huang Di. When a silk worm cocoon accidentally dropped into her hot tea, fine threads from the cocoon unraveled in the hot water and silk was born. The oldest piece of paper in the world was found in China and dates back to the second or first century B.C. Paper was so durable, it was sometimes used for clothing and even light body armor. China’s “one child” policy has contributed to female infanticide and has created a significant gender imbalance. There are currently 32 million more boys than girls in China. In the future, tens of millions of men will be unable to find wives, prompting some scholars to suggest that this imbalance could lead to a threat to world security. During the first half the twentieth century, Shanghai was the only port in the world to accept Jews fleeing the Holocaust without an entry visa. Chinese mathematics evolved independently of Greek mathematics and is consequently of great interest to historians of mathematics. In the Tang dynasty, anyone with an education was expected to greet as well as say goodbye to another person in poetic verse composed on the spot. The bat is a traditional good luck symbol that is frequently depicted in designs for porcelain, textiles, and other crafts. The bicycle was introduced into China around 1891 by two American travelers named Allen and Sachtleben. The bicycle is now the primary transportation for millions of Chinese. The last Qing emperor (Puyi) rode a bicycle around the Forbidden City in Beijing. China is currently the leading bicycle manufacturer. Suspension bridges were invented in China in 25 B.C, 1,800 years before such bridges were known in the West. The longest river in China is the 3,494-mile Yangtze (Changjian) River and the 2,903-mile-long Yellow (Huanghe) River. Concubinage has been practiced throughout Chinese history, primarily by wealthy men who could afford it. Chinese emperors had large harems with hundreds of concubines. China has the world’s oldest calendar. This lunar calendar originated in 2600 B.C. and has 12 zodiac signs. It takes 60 years to complete. The number of birth defects in China continues to rise. Environmentalist and officials blame China’s severe pollution. 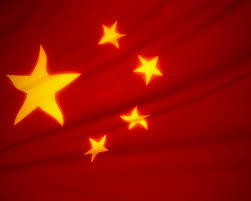 China is among the world's largest producers of cotton and Silk production has been an important part of the Chinese economy for thousands of years. Chess is also a favourite pastime. Other popular board games are Go and Mahjong. Hi there, its fastidious post regarding media print, we all understand media is a great source of information.